We love paddleboarding! 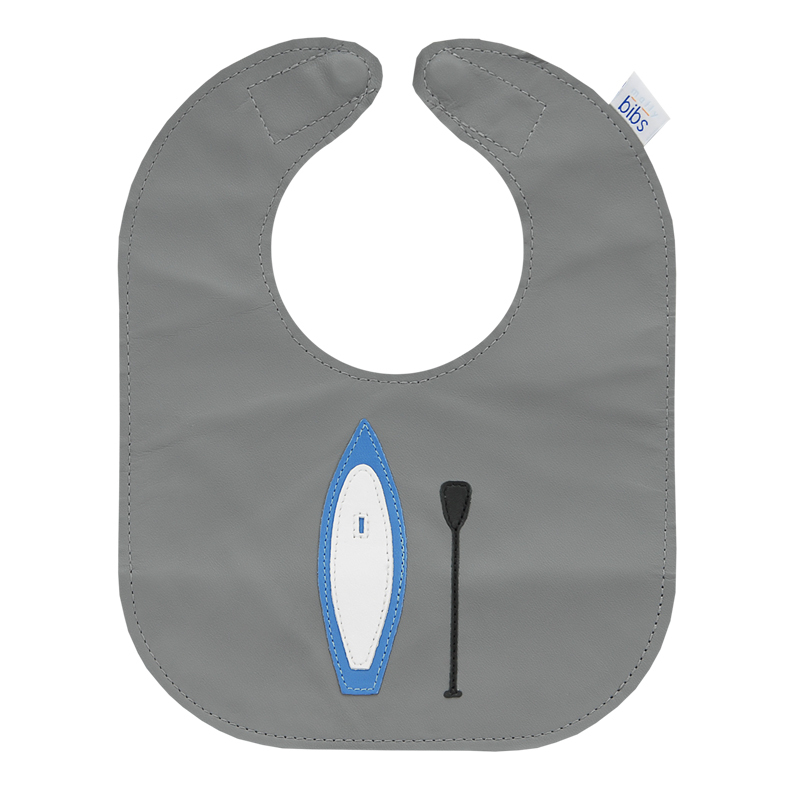 This awesome paddleboard bib is on our elephant grey with a sailor pocket. Personalize the pocket to make it extra special. We received your bibs in the mail this morning. They are amazing! They fit comfy & snug around Owen's neck so nothing drips down onto his clothes. He is learning how to drink from a cup and the mealtime mess always resulted in a clothes change. The adjustable magnet clasp is easy, quick and a great design. We love the bibs! – Thanks so much.